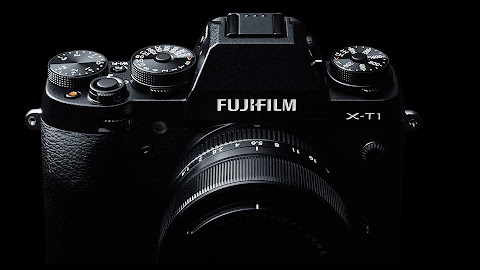 The FujiFilm X-T1 was announced in the end of January. I expect this is an announcement aimed for the CP+2014 conference starting February 13th. There are a few things that jump out to me as far as the design of the X-T1 goes. There is a little bit of a retro feeling akin to the film SLR Fujica ST series, perhaps the "T" is taken from that camera? However, I feel other visual characteristics such as the grip and the black matted finish of the body being very modern in comparison. Although I've only looked at reports on the press release and the X-series webpage, there are a two things that stand out to me. First, the new electronic viewfinder and the newly developed vertical GUI, and the dust and water resistant design. I have always thought that the in camera JPEG engine shows what the company envisions their ideal image to look like, and this vertical GUI takes it a step further in a different direction. I think it shows how the camera maker wants the camera to be used. Certainly, a vertical GUI can only be done in digital cameras, moreover, cameras with an electronic view finder. It's great to see companies trying to evolve the photo taking experience as technology advances, but also trying to stay true to photo taking roots. One reason I am held back from investing in a new camera system is because I still have trouble in deciding what camera system is best for me, overall. Do I want biting resolution (Sigma FOVEON), or do I want a fast responsive camera (Olympus OM-D), great high performance lens choices (Leica, Pentax, FujiFilm), or do I choose because of an existing emotional connection to a brand (Pentax and Ricoh). In any case, I can't decide.